As part of Our Lincolnshire’s aim to engage digital audiences, the project is working towards the launch of ‘My Lincolnshire Collection’, a new web app that will enable users to access a virtual gallery of heritage objects complete with compact and informative descriptions. Images of these objects are being collected from heritage sites all over Lincolnshire in the hopes that, in addition to the historical artefacts that draw thousands of visitors to our town and city centres each year, the collection will also represent the county’s lesser-known treasures. Now for the fun part. From a panel of approximately 100 objects, users will be able to choose up to ten favourites, curating a collection to reflect their own tastes and priorities regarding Lincolnshire’s rural heritage. 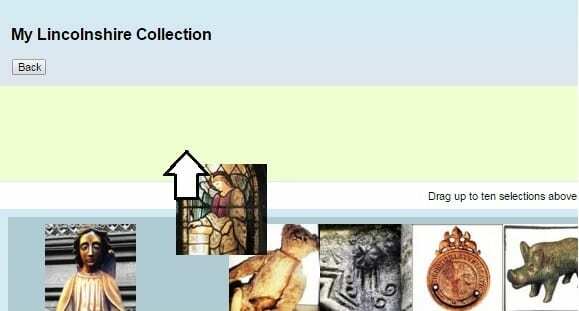 Objects can be selected by dragging the relevant thumbnail from the main gallery up into the green bar at the top of the page. If users would like a closer look at an object, they need only click on its thumbnail to bring up a larger image of it. They will also find a description of the object beneath the image to help them in making the all-important decision of whether or not to include the item in their collection. Indeed, we would love to hear about how and why our users have chosen their objects, so on the web app’s final page we have left a space for them to let us know their thoughts before their collection is submitted. 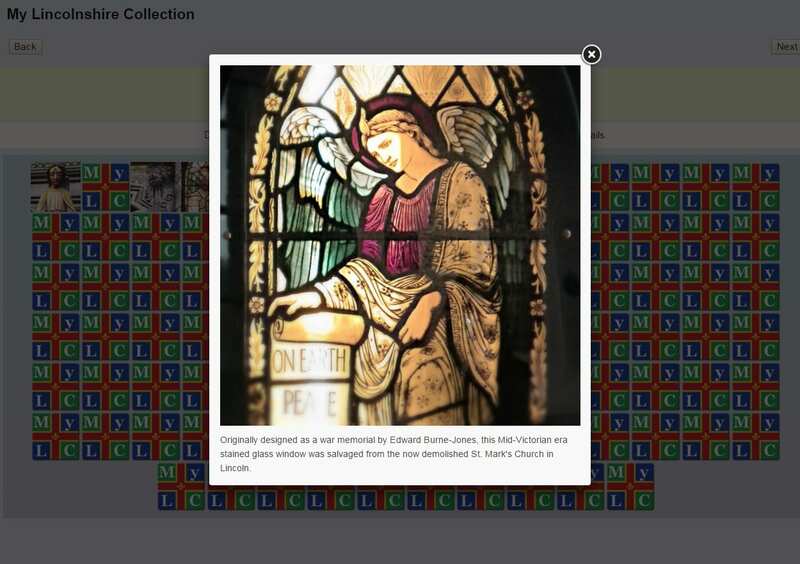 Our Lincolnshire will analyse submissions to ‘My Lincolnshire Collection’ regularly, so that we can keep track of any objects that are proving particularly popular amongst our users. We hope that the data collected by the web app will enable us to ascertain the areas of heritage that appeal most to the public. But, in the meantime we want our users will have a great time putting together their collection, so would love to hear any suggestions you may have on how we can make the experience more fun. Please feel free to voice your opinions in the comments box below! This entry was posted in My Lincolnshire Collection and tagged curation, gallery, heritage, images, objects, rural heritage, web app by Anna Cruse. Bookmark the permalink.